15th Annual Buddy Walk! | F.R.I.E.N.D.S. F.R.I.E.N.D.S. will be hosting it’s 15th Annual Buddy Walk on Saturday, September 17, 2016 near the band shell at Baker Park, located near beautiful downtown Frederick, Maryland. Check-in/Registration begins at 9:30 am. Walk begins at 12:00 pm. When you check-in/register, you will receive your tee shirt(s). Wrap everything up around 2:00 pm. The approx. one mile/one-block non-competitive walk begins and ends at the band shell in Baker Park. Click here to see the walk. Strollers, wheelchairs and wagons welcome. Entertainment for all ages including moon bounces, petting zoo, carnival games, magic show, face painting, music and more. Hot dogs, chips, popcorn, cotton candy and water will be provided for participants. Additional food will be available for purchase. Back again this year, we will be able to accept MASTERCARD and VISA at registration! Click here to download the 15th Annual Buddy Walk Brochure/Registration Form. Click here to download the Buddy Walk Sponsorship Program. Click here to download the FRIENDS Corporate Sponsorship Letter. Click here to download the Buddy Walk 411 Information Sheets. Click here for a letter size Buddy Walk poster – 8-1/2″ x 11″. Click here for a letter size Buddy Walk poster – 11″ x 17″. Click here to download the single sheet Registration Agreement similar to the brochure. Click here to download the Pledge Form (which can be copied as needed). If you are having difficulty viewing the brochure, please click the link below to download the latest version of Adobe Reader. Click logo or here to go to the registration page for the walk through CROWDRISE. All individuals with Down Syndrome are FREE. Please use the code “buddy2016“. If you would like to have a name of a family member or friend with Down syndrome (in memory is fine as well) listed on this year’s shirt please email Evan Routzahn eroutzahn@friendsoffredco.org by WEDNESDAY, AUGUST 31!!! Click here for a layout of the grounds at Baker Park the day of the Buddy Walk. Click here to see the path around the park that we will be walking. The Court Street garage is located at 2 S. Court St. and is accessible from S. Court St. and Citizens Way. The Church Street garage is located at 17 E. Church St. and is accessible from E. Church St. and off of the 100 block of N.Market St. behind the Brewery Pub and Restaurant. The Carroll Creek Garage is located at 44 E. Patrick St. next to the C. Burr Arts Library and is accessible from the 1 st block of E. Patrick St. and off of the 1 st block of S. Market St. The West Patrick Street garage is located at 138 W. Patrick St. next to the Fredrick County Courthouse on the west side, and is accessible from 2nd block of W. Patrick St. and the first block of S. Court St. 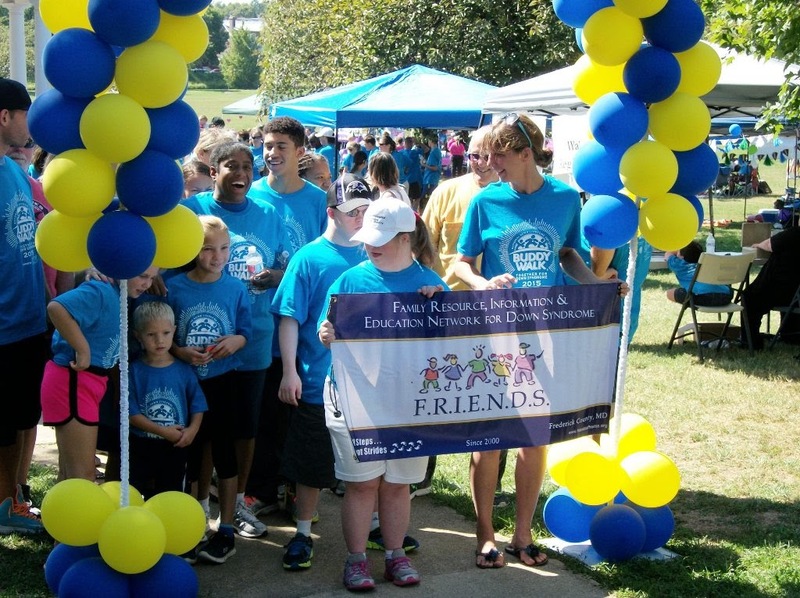 The Buddy Walk® was established in 1995 by the National Down Syndrome Society to celebrate Down Syndrome Awareness Month in October and to promote acceptance and inclusion of people with Down syndrome. Today, the Buddy Walk program is supported nationally by NDSS and organized at the local level by parent support groups, schools and other organizations and individuals. The Buddy Walk is now in its eighteenth year. What started in 1995 as 17 walks has grown to more than 250 walk across the country and around the world. Last year alone, 285,000 people participated in a Buddy Walk and collectively they raised over $11 million to benefit local programs and services and NDSS national advocacy initiatives. 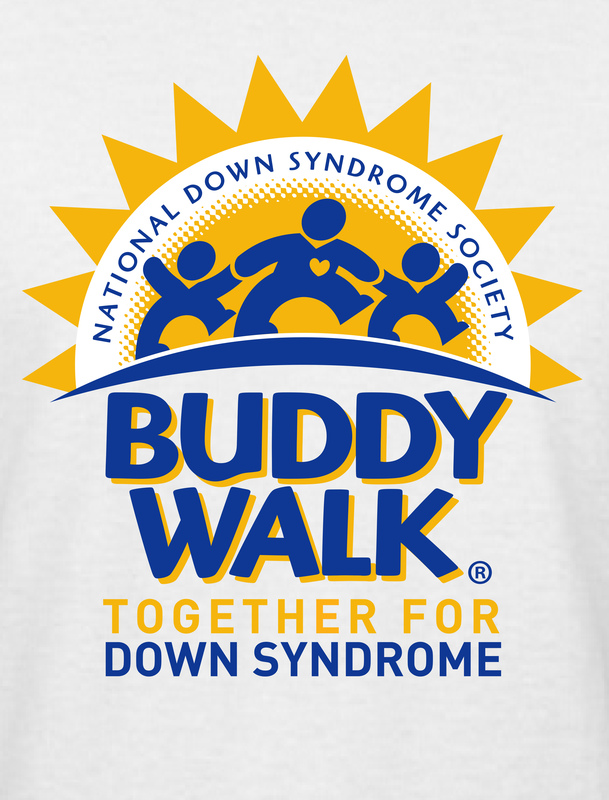 For more information on the National Down Syndrome Society (NDSS) Buddy Walk click here. We meet monthly at the Middletown United Methodist Church at 6:30 PM to share the joys and challenges of parenting.